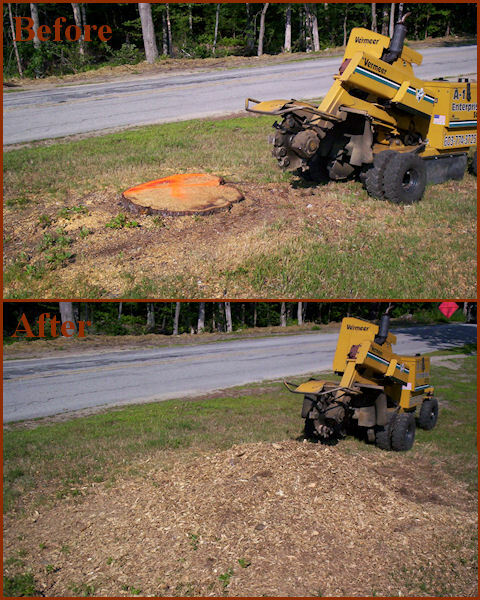 A1 Enterprises Stump Grinding can handle any grinding project you may have. We've been in the grinding business for 5 years and during that time we've handled stumps from 1" up to our record of 7 feet! Our typical service area is within 50 miles of Concord, NH but we will travel further for the right project. We carry full liability insurance and our machinery leaves fewer tracks than your lawn mower so you can rest assured that you and your property are being completely taken care of. 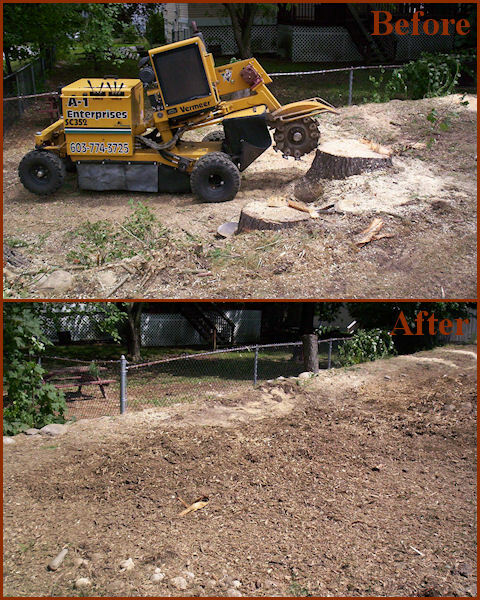 Our grinding machine is self propelled which means that there is no need for a large truck to drive across your lawn. It can also fit through a 3 foot gate so there's no need to take down your fence. Contact us today for a free quote!